Pac-man-style 3d arcade. 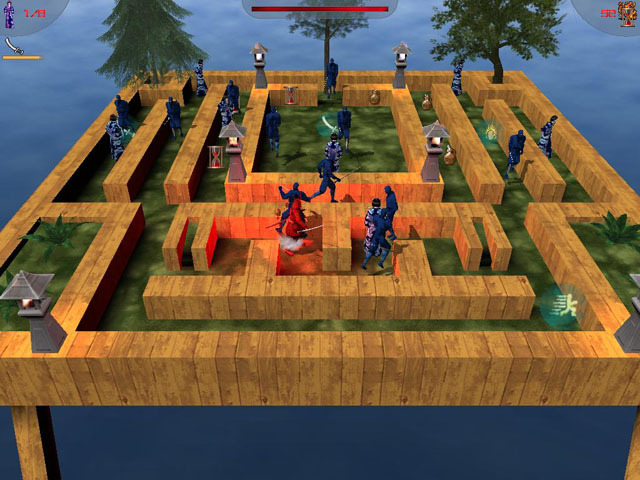 Find all the girls in each maze and beware of dangerous ninjas! Control: Arrow Keys / WASD - Move. Esc - exit / pause. Features: old school gameplay; 20 levels; 7 types of enemies; several different bonuses. The main advantage of third-party games is the possibility of a 360-degree view around the player, which gives you complete control over the movement of the enemy and provides comprehensive information about the state of the game locations at any time during the game.